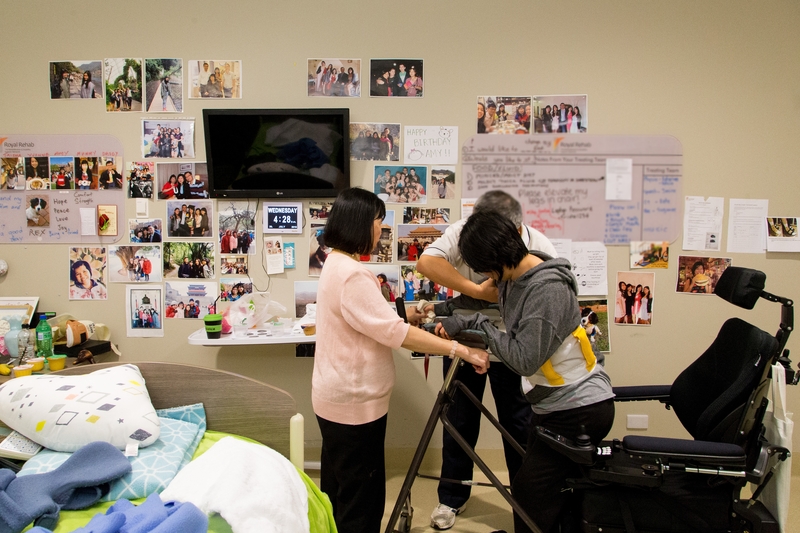 At 26 Amy’s career as an Occupational Therapist was just beginning. Then, on the night of 14 April 2015, after arriving home from her daily commute, Amy suffered excruciating pain and seizure-like symptoms. She was taken to Westmead Hospital where CT scans revealed a severe bleed in the left side of her brain. A tangle of abnormal and poorly formed blood vessels called an Arteriovenous Malformation (AVM) had ruptured and left Amy with an acquired brain injury. “We had no idea that it existed. She was a walking time bomb,” says Amy’s mum, Joyce. Amy was declared clinically brain dead. The only option to save her life was to remove the left side of her brain which controls language and logic. It took two long operations to remove the left side of her brain. 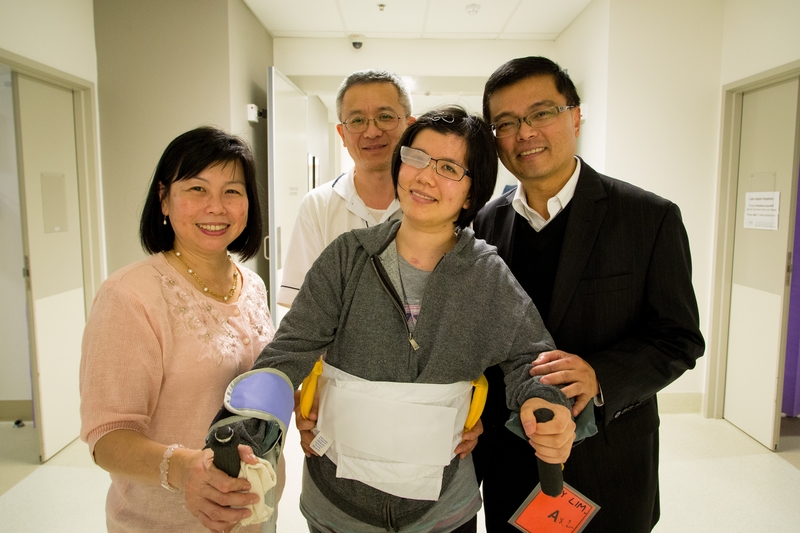 She was then in a coma for two weeks, and two months later began her rehabilitation journey at Royal Rehab. The left brain controls language and logic and Amy was unable to speak or comprehend words such as a simple ‘yes’ or ‘no’. She couldn’t even open her mouth to be fed. Amy’s recovery has been an incredible process. She and her family have worked extensively with a team of dieticians, speech therapists and physiotherapists to regain key skills and abilities. She can now communicate through words and short phrases. She can make decisions like choosing what she wants to eat. She is even on the move again driving her motorised wheelchair or walking with a walking frame. Amy has even discovered new talents. Through the “Imagine Me Project” Amy uncovered her artistic abilities. The project is an initiative of Royal Rehab’s Return2Sport program that encourages creative exploration and expression using adapted technology and digital art processes. Although she is a world away from the life she once knew, Amy’s journey has been nothing short of a miracle, and will continue to be an ongoing process of learning and discovery. This Sidetember, you’ll be taking up the challenges to see how it feels for someone like Amy to live with a brain injury. With your efforts, together we’ll be able to raise enough to continue to fund the Return2Sport program, giving people like Amy a way to get back into life.